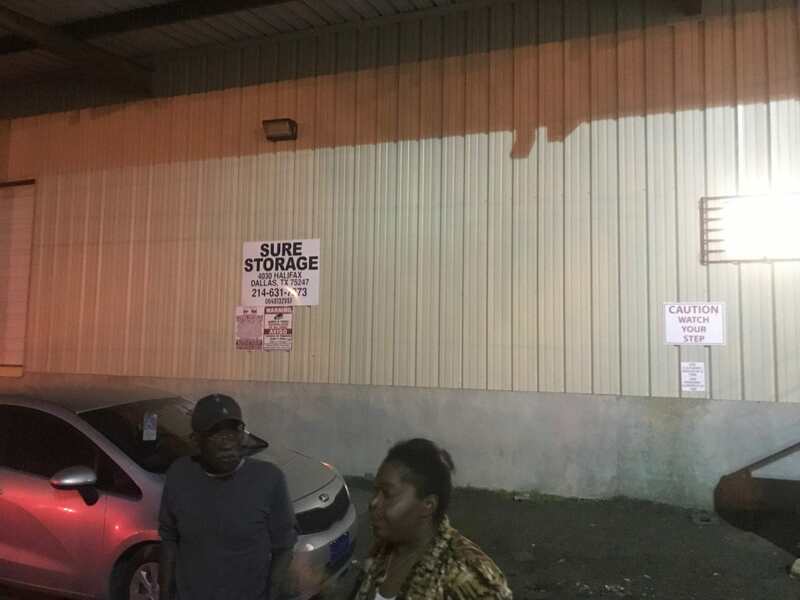 Victims of a illegal towing gather in the parking lot of the Black Bull Towing service at 4030 Halifax Street in Dallas. DALLAS — Ok – honesty check. I was a bit late to the office Wednesday morning. Not because I overslept, traffic or even let the post election depression overcome me. I awoke pretty early actually. I spent the last three hours traveling to North Dallas to retrieve my vehicle after it had been towed for pretty much no reason whatsoever. After a late trip to the store I returned home to an apartment complex in the 8000 block of Leigh Ann Drive. I located two facing spots and performed what is known as a “pull through” maneuver. Now facing the opposite direction I could open my car doors wide enough as to not to scratch or dent the adjacent vehicle. So, in a rush to unload my vehicle and make an urgent trip to the restroom I made a mad dash into my home. After 15-20 minutes I returned outside to see my vehicle being hoisted in the air by a Black Bulls Tow Truck. I yelled to get the driver’s attention, and possibly figure out what the misunderstanding was. The driver abruptly dropped my vehicle. I thought he saw I was outside and decided to grant me mercy. He looked directly at me as I screamed and waved my hands. He reversed and with a jerk and a lurch my vehicle was gone. I was dumbfounded. As I stood in the empty parking space slack jawed and flabbergasted I saw the flashing lights of a tow truck. Maybe they towed my car in error and they were bringing it back with a car wash coupon and a heartfelt apology. It was another truck from the same company. Five minutes later they scooped up another car and disappeared into the night. I retrieved a number off a warning placard on my building. All the time getting angrier by the moment. “Black Bull Towing,” the attendant answers. “Yes my car was just towed and I want to know why?” I asked as I went on to give the make, model and color of my vehicle. “Well I don’t know. Maybe it was stolen,” she responds coyly. “Ma’am don’t play with me right now. I just saw one of your trucks tow my car away. Your driver looked me dead in the face and pulled off with it,” I snapped. “Well if we have it I won’t know anything for at least an hour,” she said. Refusing to wait an hour I jumped in my second vehicle and drove to the address on the placard. As I drove around a pretty sketchy northwest Dallas neighborhood I finally located the storage facility for the towing company. The prefab steel warehouse building reminded me of a county detention facility. With only an intercom with a camera to greet customers. At which time I was instructed to hurry up and wait. Then the same attendant that spoke on the phone to all us a sudden within 20 minutes now had all the information on my vehicle and the reason it was towed. And to retrieve it would be $164.30 plus $20 per day storage fees. The reason my life was upended you may ask? Because it was backed into the parking spot. It was not because of incorrect parking tags. I was not doing mechanic work with it up on cinder blocks. I did not take up two spots. But because it was backed in. I am not sure what law or statute I violated. I have searched and I cannot find one. As a matter of fact, AAA Texas advocates rear facing parking. As it allows drivers a better view of their surroundings and possible pedestrians as they leave the parking lot. “Pulling out of a parking spot, instead of reversing, is an easy way to increase safety and visibility in busy parking lots this holiday season,” said John Nielsen, AAA’s managing director of automotive engineering and repair. According to the National Highway Safety Traffic Administration (NHTSA), there are at least 500,000 backing accidents of some type every year in the U.S. Of those 15,000 include some type of injury and approximately 210 deaths – mostly children under five and elderly people aged 70 and over. Up to two children every week are killed in the U.S. by back over incidents. So if it saves lives, why don’t more property owners push for all vehicles to rear park? One word ‘liability.’ Property managers do not want to be liable for any dents and damages caused by drivers who are a little challenged when it comes to parallel or rear parking. Even more distressing are rumors of kickbacks or pay for play relationships. By 11:45 p.m. there were at least six of us standing in the parking lot of the towing company. Exchanging stories of disbelief and commiserating. Everyone had a story, all wanted to remain anonymous fearing retribution from the apartments or the towing company. “Mine was $299 dollars. This is some [expletive],” said a Hispanic male who was driving a newer model Toyota Camry. Headquartered in Fort Worth, Black Bull Towing makes its money from contracts with apartment complexes all over North Texas. Unsurprisingly, earlier this year, the Texas Department of Licensing and Regulations (TDLR) levied a $10,400 fine against the towing company. Black Bull Towing, launched in 2009, has a long history of illegal towing from apartment complexes according to the company activity page on the TDLR website. According to reports, since 2012, the company has amassed over $38,000 in fines. Black Bull Towing owner, Aaron Huhem, has not been available for comment. However upon further research, Black Bull is the primary towing contractor for the Texas Association of Safe Apartment Communities, LLC. Members of the association (apartment complexes) pay a fee for services that include a monthly parking sticker program. When residents pay their rent they get a parking sticker. Each month a new sticker, with a corresponding number and color. No rent means no sticker. Residents facing financial hard times must park on the already congested street outside the apartment gates. Parking on the street is hazardous, motors run the risk of hit and runs or even car theft in general. If residents park in the complex with no sticker or an expired one, their car is offered up to the Black Bulls. Ironically the Texas Association of Safe Apartment Communities was founded by Victor Huhem, the brother of Aaron Huhem, the owner of Black Bulls Towing. Moreover, other than a monopoly on towing services, there are not many other benefits keeping association members ‘safe’. Since 2015, Black Bull Towing has received over 375 complaints filed with the TDLR. They currently have a F-rating with the Better Business Bureau with 51 negative complaints on file.